Defending your right to live in this country. Tuckers Solicitors Immigration team has extensive experience in providing legal advice and representation across the full spectrum of private Immigration Law matters. Our expert team deals with matters involving entry clearance applications, further leave to remain applications, indefinite leave to remain application, applications for discretionary leave, back log cases – case assurance and audit unit, naturalisation as a UK citizen, passport applications, travel documents, applications made outside the rules of immigration, deportation and removal, human trafficking, detention cases including bail, appeals within the Asylum and Immigration Chambers [First Tier and Upper Tier], and Judicial Reviews. In addition to the above, our Immigration team also deals with cases which involve EEA regulations such as residence cards and permanent residency for EEA Nationals and their family members. We also specialise in the retention of Non EEA National Rights following any failure of marriage to an EEA National. With over 15 years in Immigration Law, Head of Department Richard Harrold has built a solid reputation for his knowledge and expertise in solving complex EEA and UK common law and immigration cases. 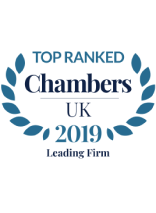 A member of the Immigration Law Practitioners Association, Richard and his team are renowned for being meticulous and dedicated to each case, providing immediate, first class legal advice, representation and assistance during legal proceedings, ensuring the best interests of our clients.